President Barack Obama says he believes his signature health care law will survive, noting he has told Republicans over his two terms in office to come up with a different solution if the law doesn't work. 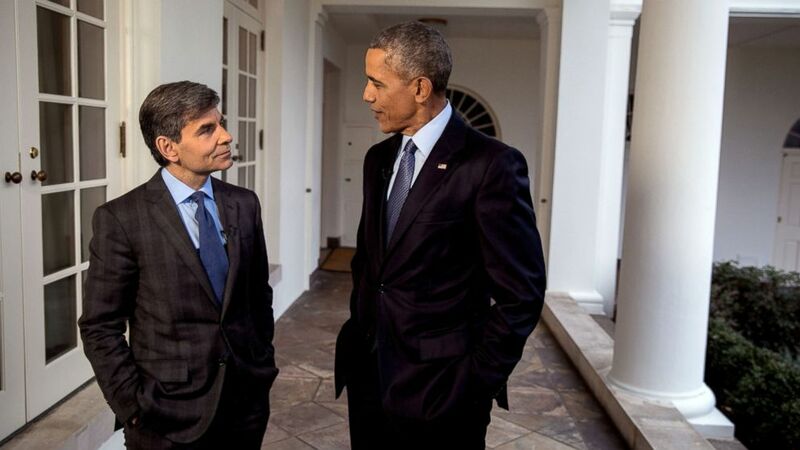 Asked by ABC News chief anchor George Stephanopoulos whether he thinks the Affordable Care Act will survive, Obama quickly replied, "I think it will." "It may be called something else. And as I said, I don't mind. If in fact the Republicans make some modifications, some of which I may have been seeking previously, but they wouldn't cooperate because they didn't want to -- make the system work, and relabel it as Trumpcare, I'm fine with that," he said in an exclusive interview on "This Week" Sunday. On Thursday, House Speaker Paul Ryan pledged that Republicans will complete legislation to repeal and replace the Affordable Care Act "this year," but Obama said he is skeptical the GOP will come up with a better system than Obamacare. "I'm skeptical that they can do it, mainly because for seven years now, including when we first tried to pass health care, I said to them, 'Okay, if this doesn't work, tell me what does,'" he told Stephanopoulos. "If you think you got a better idea in terms of how to approach this that's not going to result in more pollution, and more asthma, and more illness, then put your ideas out there. But don't just depose things because, 'This was Obama's agenda.'" He also noted that progress has been made during his time in office on access to health care. "When it comes to health care, the gains that we've made are there. Twenty million people have health insurance that didn't have it before. The uninsured rate is the lowest it's ever been," Obama said. He warned Republicans against undoing that progress just because his name is attached to it. "It is true theoretically that all that progress can be undone, and suddenly 20 million people or more don't have health insurance," Obama said on "This Week." "I think Republicans now are recognizing that's -- may not be what the American people, including even Trump voters, are looking for." "Don't undo things just because I did them. I don't have pride of authorship," he added.